If you have had trouble with debt recently but you desperately need to purchase a car, you should take note of these three types of car loans for blacklisted people. There are many other options for financing a vehicle if you are blacklisted, but these three are some of the most likely options. Whatever you choose, it is absolutely essential that you do not get further overwhelmed by debt, that you make sure that you can afford what you are signing up for and that you always pay the payments in full every month without exception. Why is it difficult for blacklisted individuals to get credit of any kind? When an individual signs contracts stating that he or she will pay loan, credit card or account repayments of a certain amount every month with interest, the individual is bound to do so by law. In many instances, people suffer the loss of a job, they find they have too many expenses and cannot pay them all or they are faced with a very large one off payment (like a vets bill or medical expense) that they cannot avoid. This may mean that they cannot make their loan, credit card or account payments with interest and this is never a good situation to be in. The financial services provider who gave the individual the credit will then serve warnings to the individual and eventually they may blacklist them. The blacklist is a list that all financial service providers have access to. It lists individuals who have been guilty of serious and severe non-, under or late payment and alerts any potential creditor that the individual is a financial risk. Most reputable financial service providers will not even think of financing any individual that is blacklisted. Loan shark agencies will be more than happy to finance blacklisted individuals and should be avoided at all costs. These companies will charge extortionate interest rates that compound very quickly, sometimes to as high as 1 000 %. They have also been known to use violence and devious methods to get their money back from individuals who cannot pay them. There are, however, some companies and financial service providers who will offer small loans or low risk financing to blacklisted individuals, and it is necessary to seek these offers out if you are blacklisted and looking for car finance. If you have an existing bond or home loan on your property, you can apply to borrow money on your bond or home loan to finance your vehicle. This is a good option as the interest rate will be lower than most car loans. However, if your financial service provider will not allow you to borrow against your bond or home loan, you can apply for a home loan extension. If this is approved, you will be able to pay less in your monthly payments and you will have freed up money that you can spend on financing your vehicle. Many vehicle dealerships offer in house financing to buyers and may be able to offer you a special deal even if you are blacklisted. You should contact your dealer and speak to him or her about your options as they may be willing to tailor make a package that will suit your needs. There are many financial service providers and companies who will offer personal loans to individuals who have been blacklisted. The downside, however, is that your interest rate may be higher than it would be if you were not blacklisted. It is important, if shopping in this category, to be very wary about potential loan shark agencies. Another option for financing your car is to take a loan from a friend or family member. You can involve an unbiased mediator who will help you set the terms and conditions including length of loan, amount and interest rates. You should ensure that you draw a contract of sorts up so that you can both protect your interests if things were to get messy. 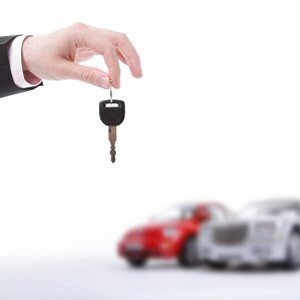 SA Car Finance without a Driving License?